Daniel Simkin and Leon Franco have come a long way together. As children in Caracas, Venezuela, they attended the same grade school. 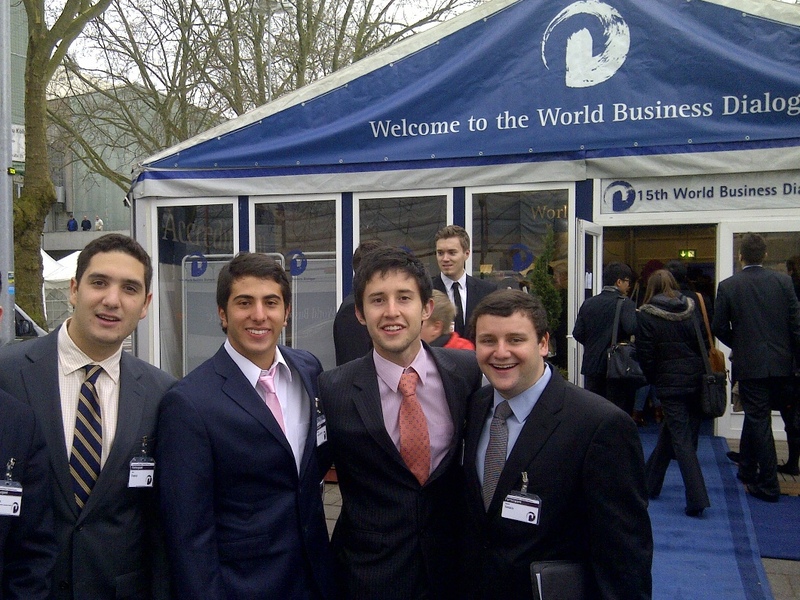 In March, as students at Yeshiva University, they attended the 15th World Business Dialogue in Cologne, Germany—winning two of only 300 coveted slots available to students across the globe in a rigorous selection process. 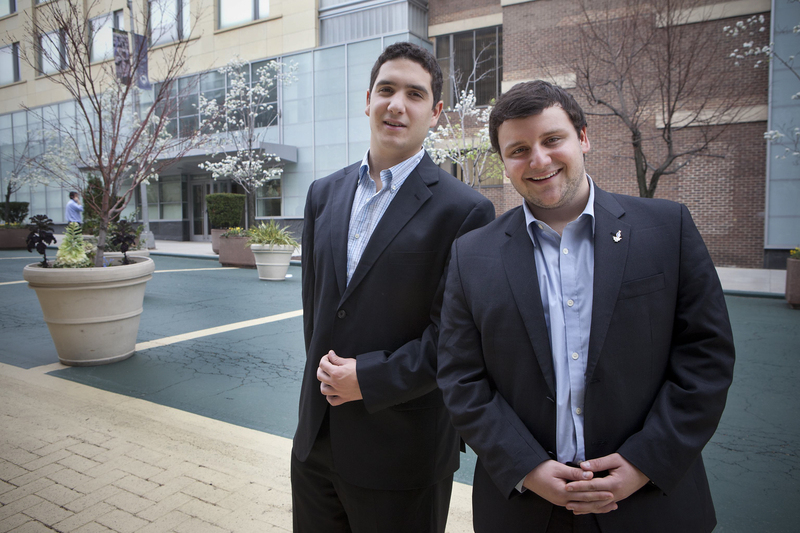 Childhood friends in Venezuela, Daniel Simkin and Leon Franco have reunited at Yeshiva University. The conference is the world’s largest student-run business convention. Featuring 60 high-profile personalities and executives from top companies such as British Petroleum, General Electric Europe and North Asia, and Ford of Europe, it engaged students and speakers in conversation about topics that will have economic and social impact on the future. Simkin and Franco have always been ambitious. In Venezuela and over his time at YU, Simkin has tried his hand at a variety of industries—“entertainment, manufacturing, social media, iTunes and politics,” he says, to name a few—and Franco, a junior majoring in marketing and finance at Syms School of Business, has interned for New York Senator Charles Schumer and UBS Wealth Management. The two applied to the World Business Dialogue because they were convinced it could give them valuable insight and connections to further their careers. At the conference, Franco and Simkin had the opportunity to hear from industry leaders about everything from business strategies to ethical dilemmas and future forecasts. They also benefited from the juxtaposition of opposing worldviews in conversation. “The CEO of British Petroleum Europe was advocating a slower introduction of eco-friendly alternatives to oil consumption, while the German Transport Authority explained that it is developing strategic ways to be more efficient with their use on a day-to-day basis,” said Franco. The conference helped crystallize his feelings about sustainability. Franco (left) and Simkin (right) networked with students from around the world and heard from captains of industry at the World Business Dialogue in Germany. Though Franco and Simkin knew each other as children, they only recently reunited. Franco, who had moved to the United States with his family in search of greater religious freedom in 2000, had already begun his studies at YU when he encountered Simkin at a dinner with mutual friends in New York City. Simkin was shocked. He had come to the U.S. for a summer course in English between semesters at the Universidad Metropolitana of Caracas. There, things had been rough: a hostile atmosphere toward Jews on campus led him to downplay his religious identity and as more and more of his friends left the country for Israel or the U.S., he found his own grasp on Judaism slipping. “We have a great group of international students here at YU and I have the fortune in my role as the entrepreneur-in-residence to meet them on a one-to-one basis and discuss with them everything from how to start a business and how to raise money to what career they should pursue if and when they plan to go back to their home country,” said Michael Strauss, associate dean at Syms. 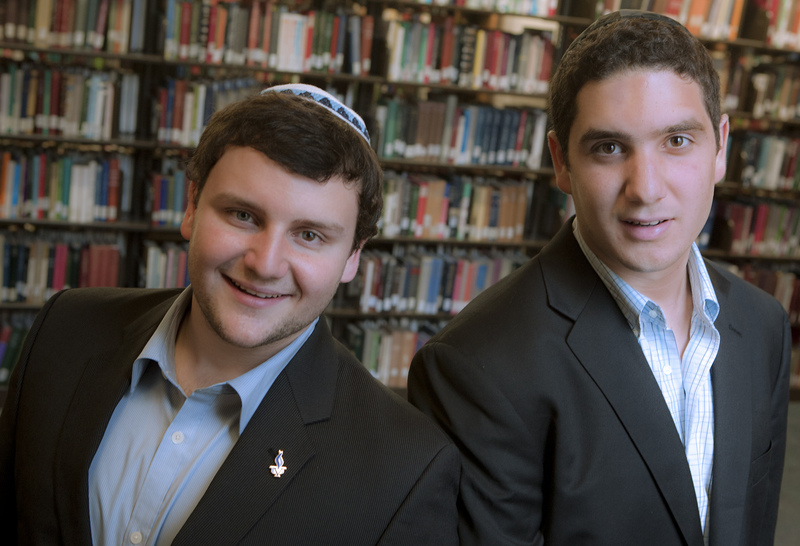 Simkin and Franco are especially appreciative of their professors at Syms and Yeshiva College, including Strauss, Professor Steven Nissenfeld in management and Professor Brian Maruffi in entrepreneurship, whose mentorship and guidance have helped them flesh out big plans for their futures. For Simkin, Professor Norma Silbermintz’s English as a Second Language course had particularly meaningful results.